Receiver Hitch with plates for SportCarriers are found here at RVpartscountry.com for all your RV hitch and traveling needs. 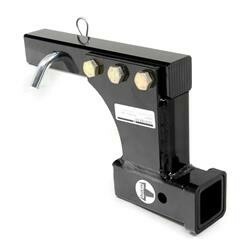 Make towing and hauling easier with our select line of RV reciever hitches. One thing that is A necessity for everyone with an rv is a hitch. We have several hitches for all of your towing needs. Whether it is for a fifth wheel, a travel trailer, or a gooseneck, we have the right one for you. For towing larger vehicles, we have many manufacturer recommended weight distribution systems and sway controls to help you even out the load.